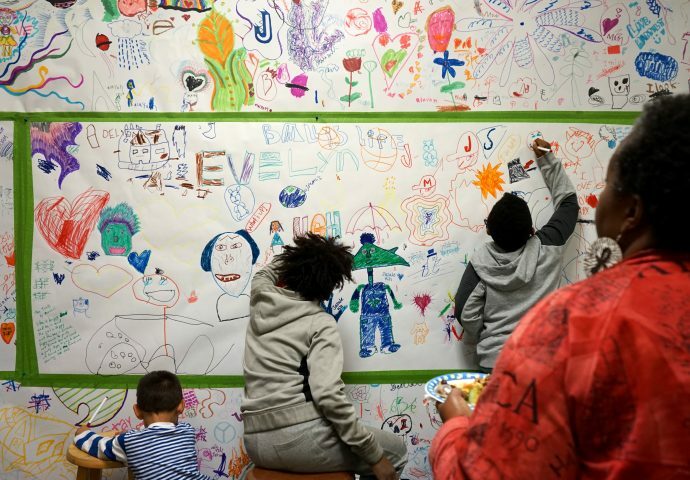 Throughout the four weeks of Art House Trap, visitors added drawings to this communal piece. 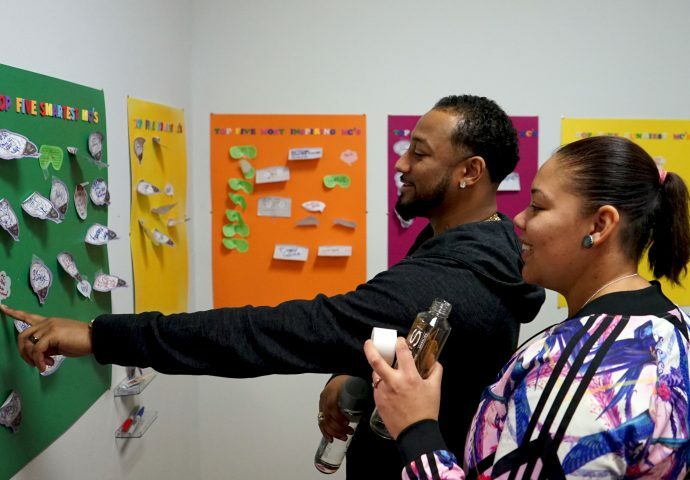 Jazale's Art Director Vedale Hill and his wife Coreisha discuss responses to "top five" submissions from attendees, including "smartest MCs." 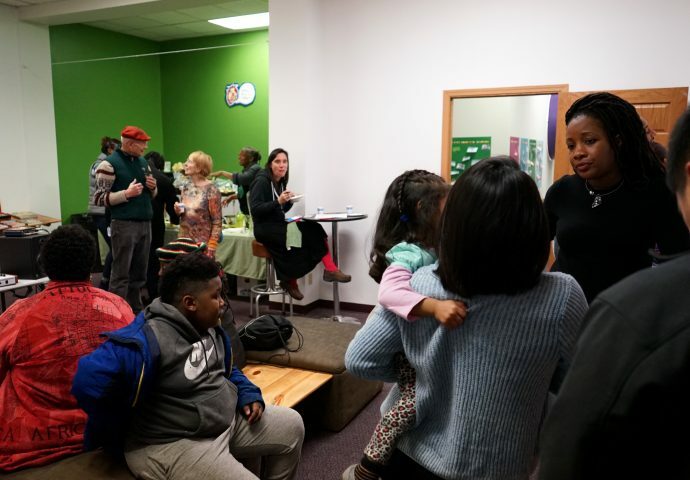 The event took place at Jazale's Art Studio, home to community classes for youth, artist work spaces and a wide range of events. 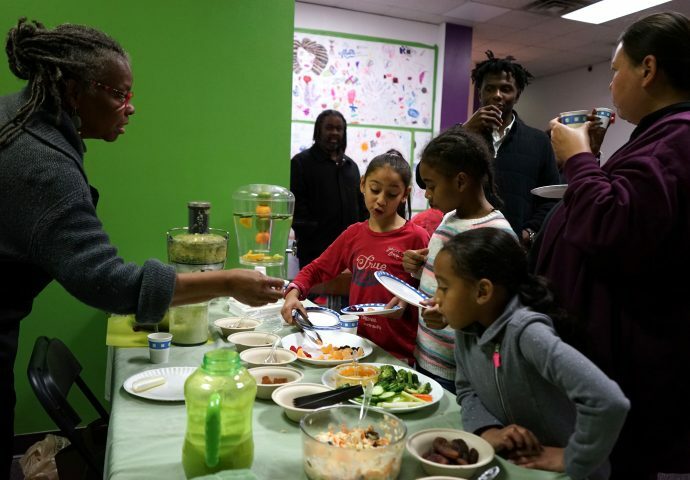 Artist Evelyn Patricia Terry did juicing demonstrations and provided healthy snacks for attendees. 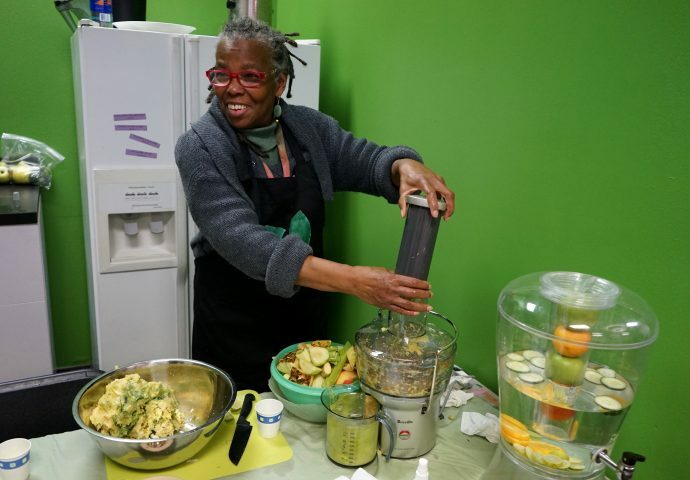 Terry was at all four open houses of Art House Trap, sharing her love for raw foods. 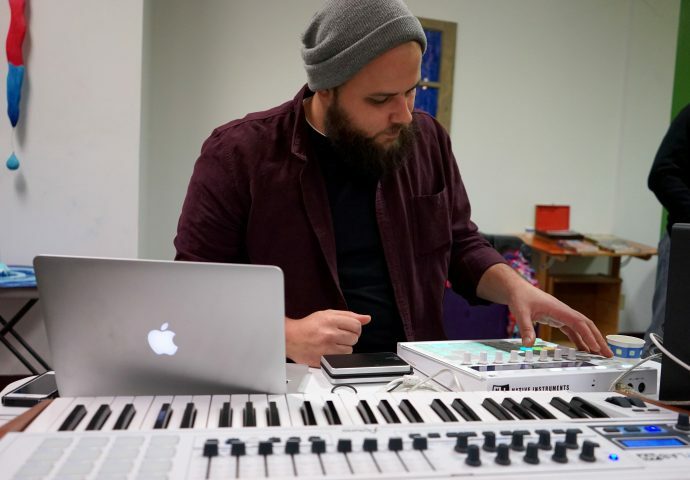 J.J. Jaber played a live set, both DJing and playing original compositions. 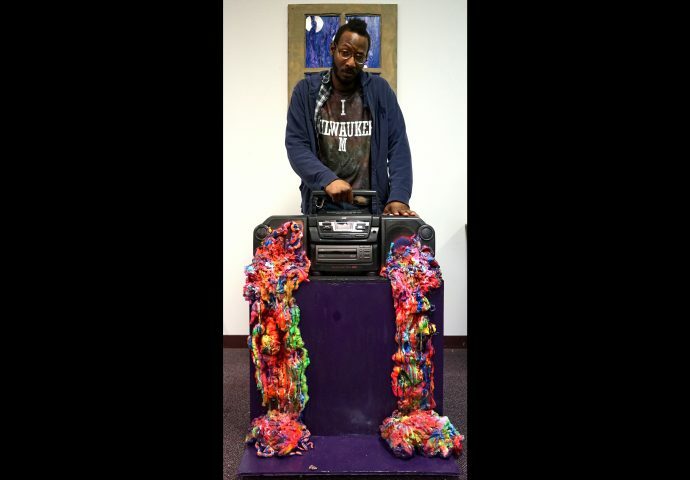 Artist Mikal Floyd-Pruitt poses with a sculpture he created for Art House Trap. 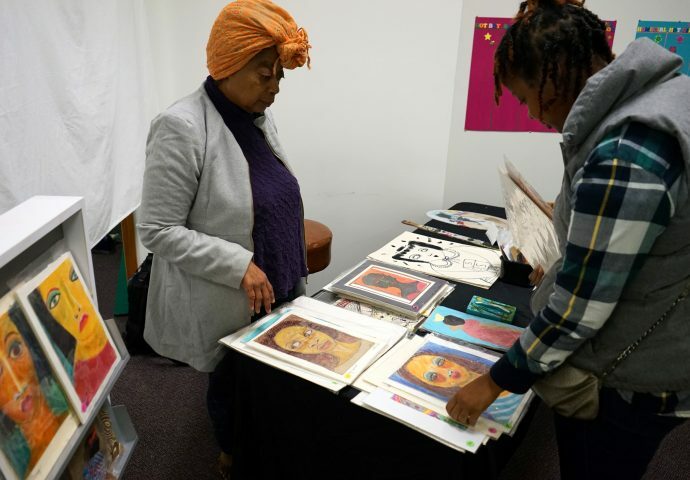 Jayme Montgomery-Baker (right), director of Friends of Bronzeville, browses artworks created by artist Della Wells (left). 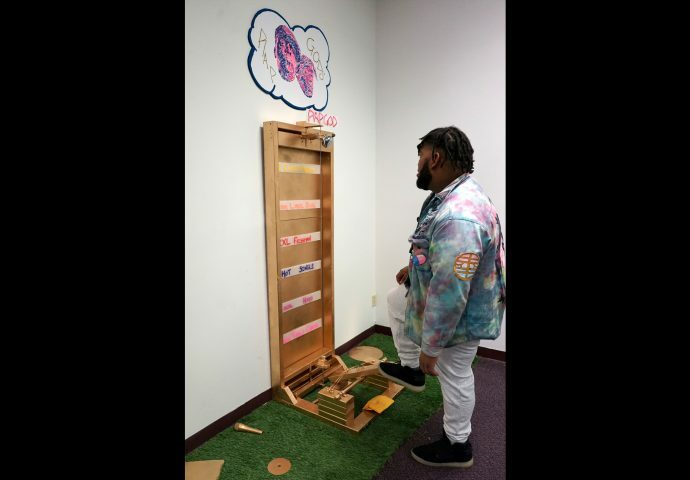 Artist Manny Vibe$ demonstrates his interactive artwork "Rap God." 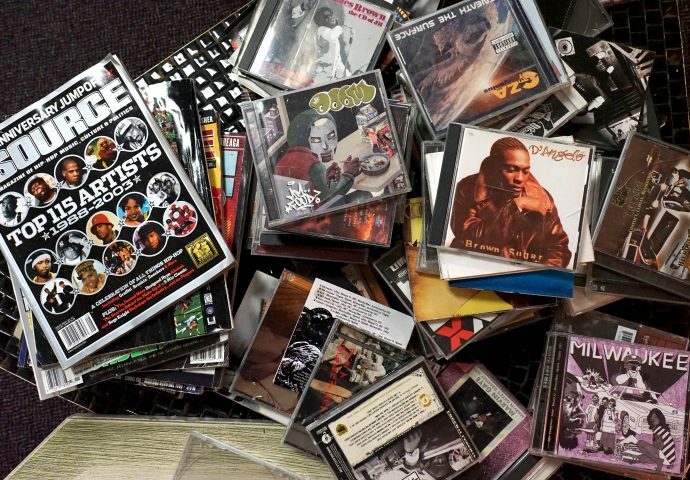 “Art House Trap,” an exhibition featuring art installations and performances exploring many facets of hip-hop, showcased artwork created by Mikal Floyd-Pruitt, Vedale Hill, Manny Vibe$, Kevin Boatright and other artists. 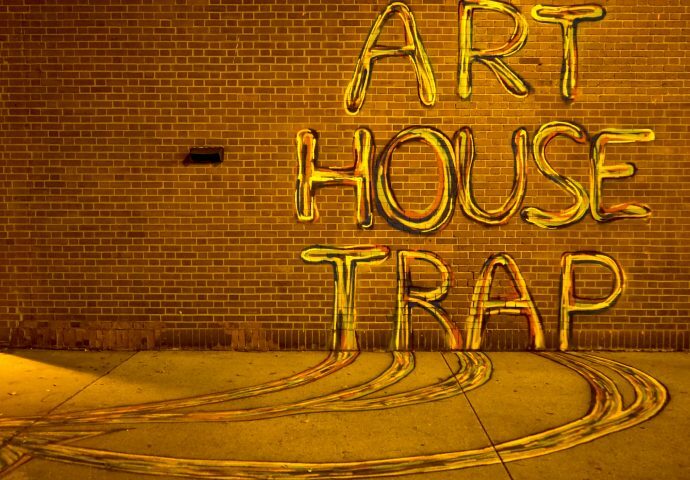 Located at Jazale’s Art Studio, 2201 W. Martin Luther King Dr., Art House Trap was open on four Saturdays in November. 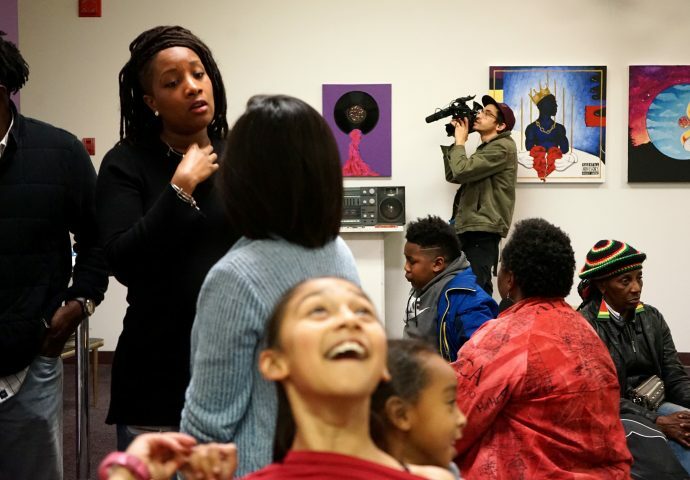 The exhibit was part of Friends of Bronzeville’s “Bronzeville Autumn,” a series of events and programs focusing on art and wellness that will continue into December.